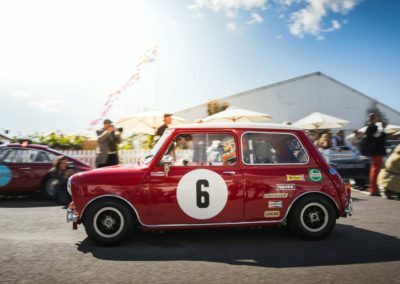 In 2018, Goodwood Revival celebrated 20 years of the iconic event and Swiftune was there with four Minis’ to compete in the ever entertaining St Mary’s trophy. 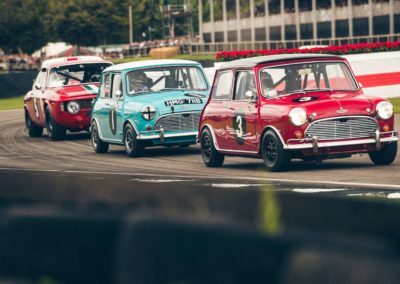 As always the race featured a wide array of professional and celebrity drivers including Touring Car legends, Formula 1 winners, Le Man victors and Indianapolis superstars. Switching his Aston Martin for the little Mini was Double British GT champion Jonny Adam, joining Nick Swift in the Swiftune works car. 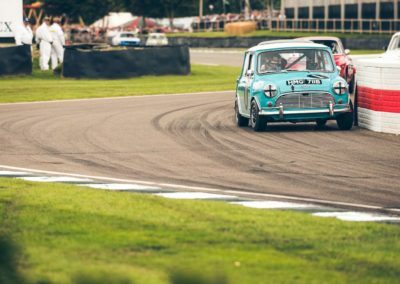 Joining Swiftune powered Jason Stanley was Journalist and regular racer Dickie Meaden who’s repertoire includes GT40, AC Cobra, F2 car and Mark Burnett’s 1275 GT at last year’s Members meeting. 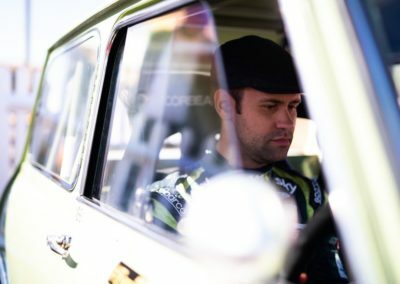 Nick Jarvis handed his Swiftune Mini over to the one and only Stig Blomqvist who was joined by his son, BMW Motorsport works driver Tom Blomqvist. 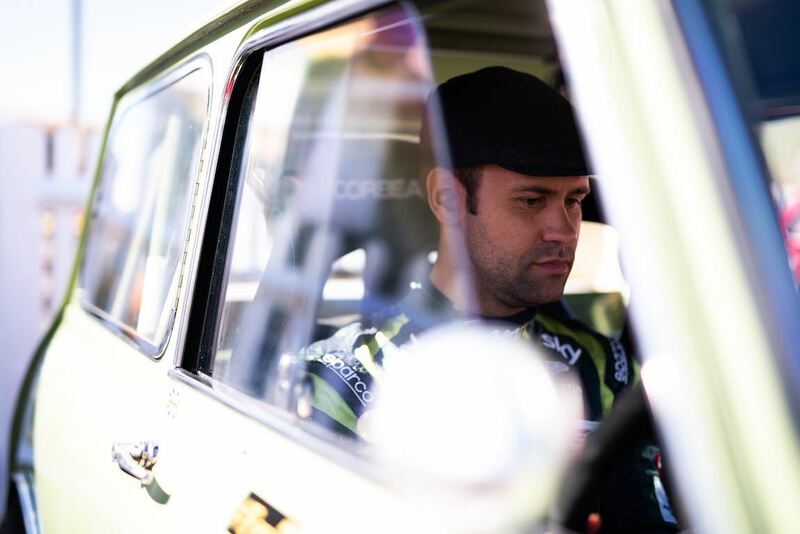 Finally, Nick Riley was partnered with world touring car champion Gabriele Tarquini. The St Mary’s trophy is split into 2 parts, part 1 for the celebrities and part 2 for the owners and finishes on a aggregated result. Official practice on the Friday set the weekend’s grid positions and was again split into two sessions. With the pro’s up first, Dickie Meaden put in a speedy time, to put him up the top as first Mini and 14th overall, closely followed by Tom Blomqvist with just 0.3 seconds between them. Jonny Adam rounded up the top three qualifying the third Mini and making it a 1-2-3 for Swiftune. Owners turn and Nick qualified on top as first Mini and 11th overall, Revival regular Jason Stanley in third, closely followed by Stig Blomqvist. Part 1 of the race, for the professionals was on the Saturday, and had Dickie Meaden and Tom Blomqvist battling for first in class and 9th overall. Unfortunately after a tap from a Cortina, Meaden spun into the wall and ended his race. 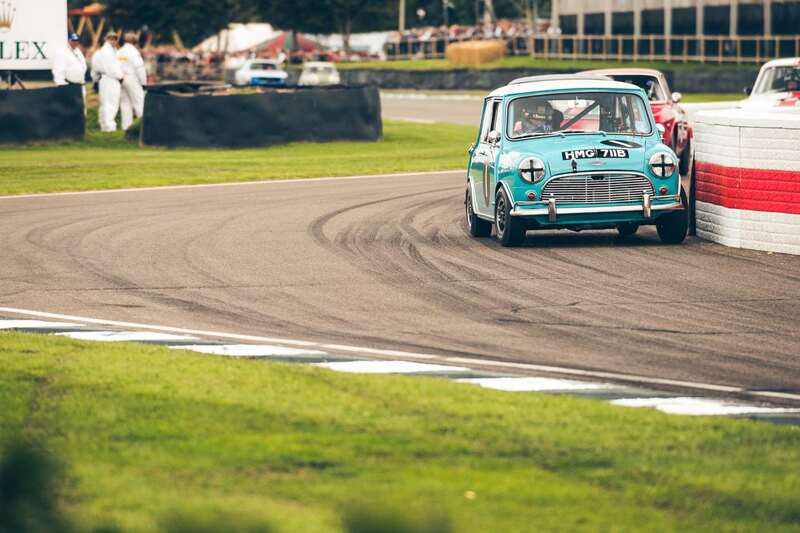 Tom Blomqvist was flying and claimed first Mini and 9th overall and Jonny Adam finishing 2nd. Unfortunately after the accident with Dickie Meaden, the car couldn’t be fixed, so Jason was unable to complete the weekend. Part two was a lot more hectic, with two crashes, a restart and a safety car making it a very disjointed race. Nick made a great start and had great battles with the large Cortina’s, Alfa Romeos and Ford Galaxies until the race was red flagged after a Plymouth Barracuda went flying into the chicane. 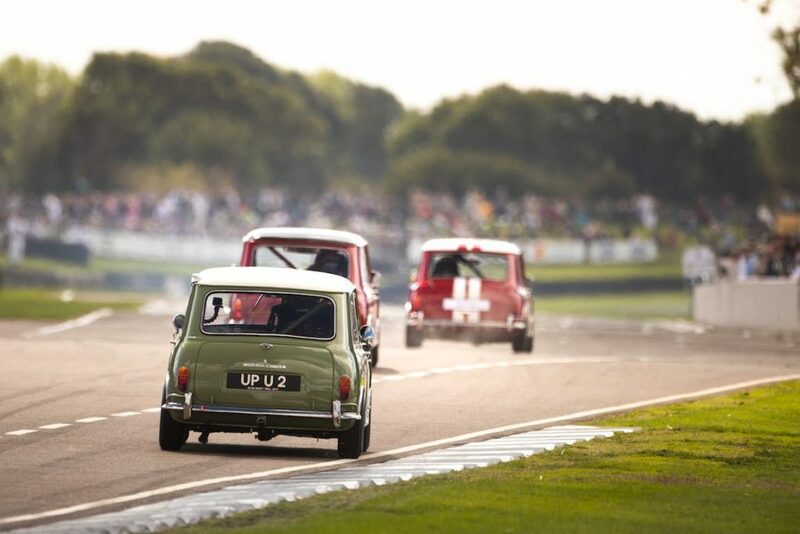 After a full restart, the race was well underway until a Cortina barrel rolled and resulted in a safety car coming out. This left just 4 laps left of the race, with Nick pushing hard to get a good result. 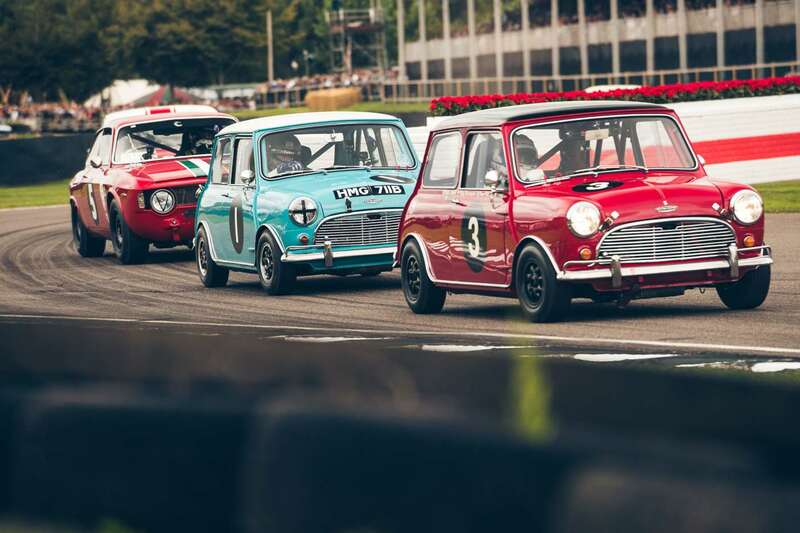 As the chequered flag fell, Nick finished 6th overall and first Mini followed by Stig Blomqvist and Charlie Cooper, grandson of John Cooper, in 3rd. 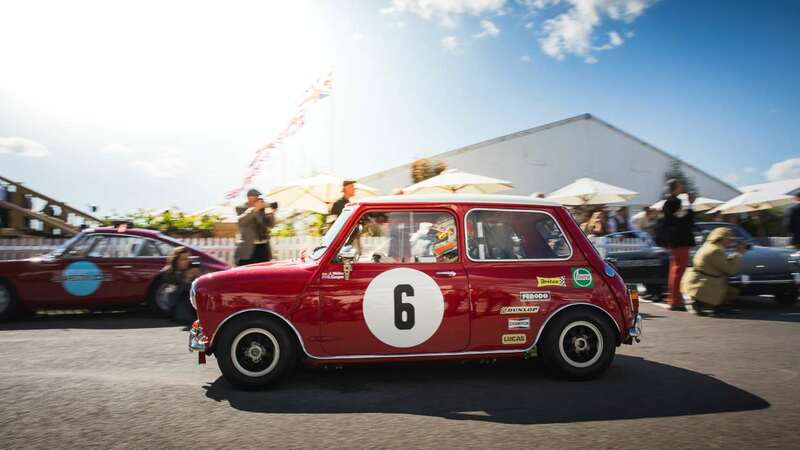 The final aggregated results were: Stig and Tom Blomqvist finished 1st Mini and 6th overall in Nick Jarvis’ Swiftune powered Mini, followed by Nick Swift and Jonny Adam in the Swiftune works Mini 7th overall and Charlie Cooper partnered with Jorg Muller finished 14th and 3rd Mini. As well as taking part in the St Mary’s trophy, he was also invited to join the winner’s parade which celebrated the past winners of the Revival in its 20 years. 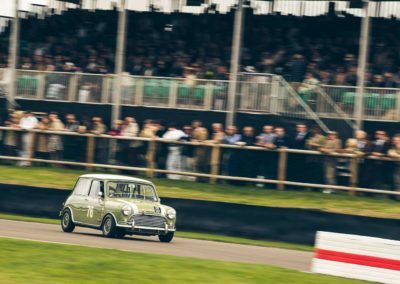 Nick was joined by his wife Ali as a passenger, taking part in the 3 laps around the track all three days of the event. 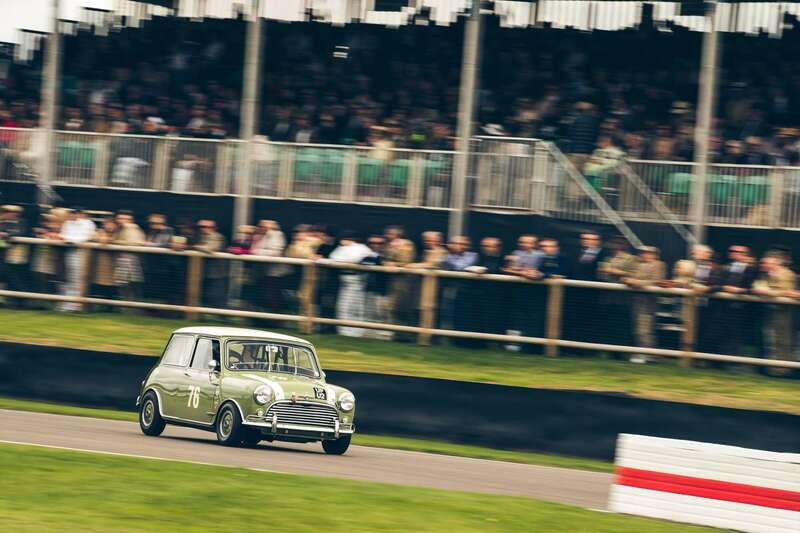 Another successful weekend for Swiftune, up next Goodwood 77th Members Meeting in April!